The Cranes Are Flying is a Soviet film about World War II. It depicts the cruelty of war and the damage suffered to the Soviet psyche as a result of World War. The Cranes Are Flying shot in the Soviet Union depicts the cruelty of war and the damage suffered to the Soviet psyche as a result of World War II. It was directed at Mosfilm by Mikhail Kalatozov in 1957 and stars Aleksey Batalov and Tatiana Samoilova. 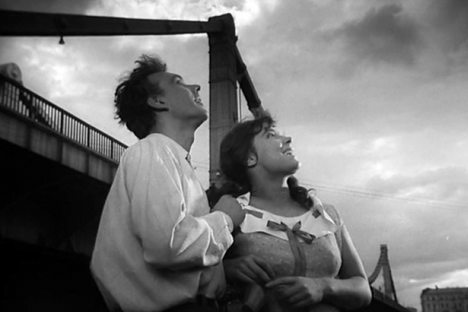 It won the Palme d'Or at the 1958 Cannes Film Festival, becoming the second of two Soviet films to win the award. Were turned into the cranes as white as snow. It is a spot that's meant, my friend, for me. The voice for those I loved and left on earth.